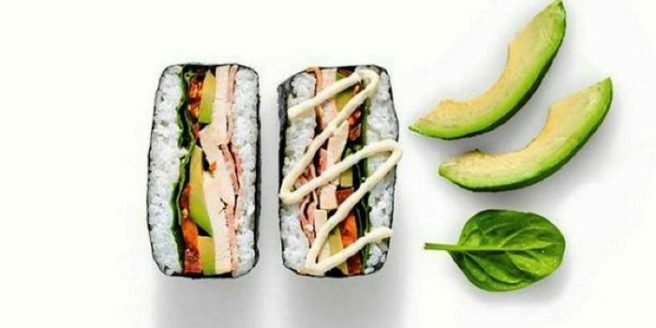 Frankenfood: Sushi sandwiches are here, and they look totally delish | SHEmazing! The avocado pizza, the cronut, the carrot latte and the unicorn anythingdominated the 2017 frankenfood trend charts. Now, 2019 is kicking off with an East-meets-West food combo of two classics. However, the version M&S have released this week have some traditionally Western fillings, such as bacon. There are two options to try; Soy & Ginger Chicken Sushi Sandwich with a delicious tonkatsu style dressing and Chicken, Bacon & Avocado Sushi Sandwich; a western classic with the Japanese twist of yuzu and spicy chilli dressing. Honestly, it sounds delish. The sandwiches are €6.20, and are now available in M&S.